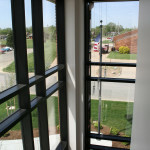 2 Stories + basement total 18,700 s.f. 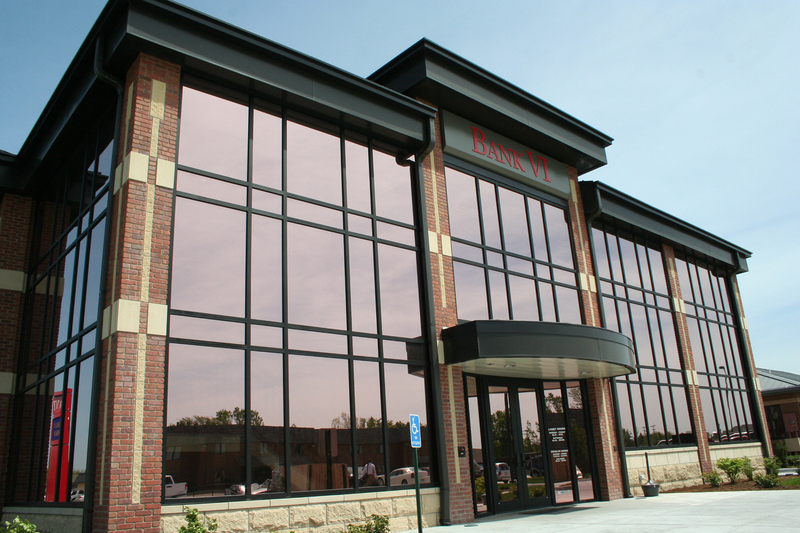 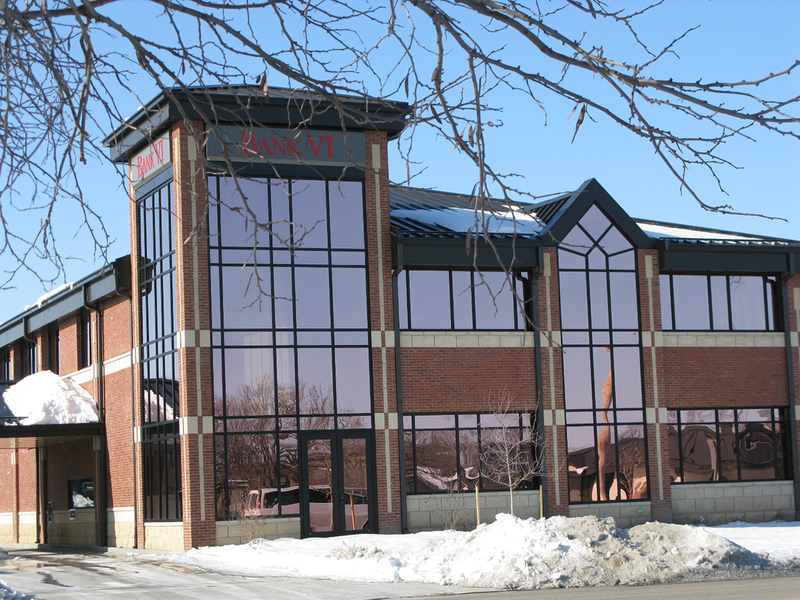 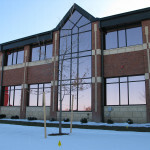 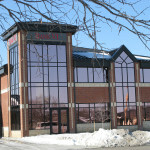 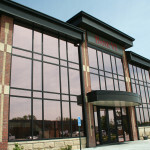 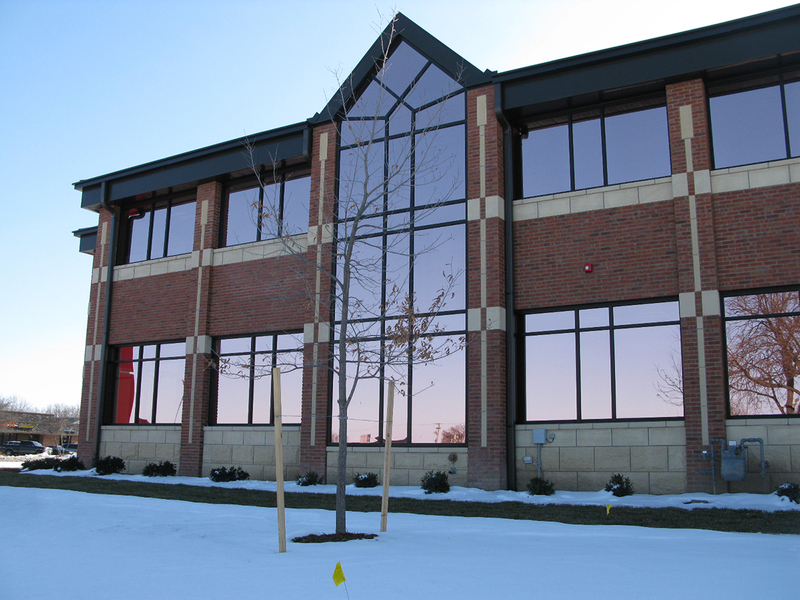 This new facility is very recognizable from the busy street, with its large and expansive 2-story reflective windows. 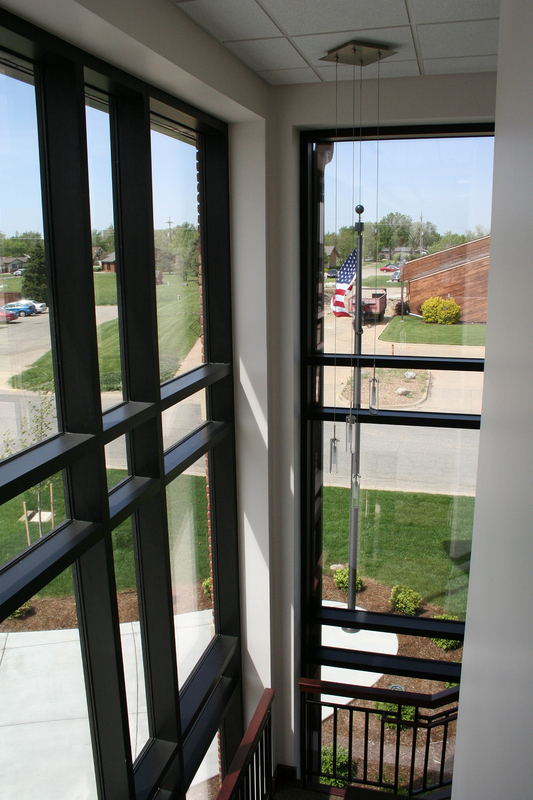 The glass, and also the mechanical systems, were designed specifically to be energy efficient. 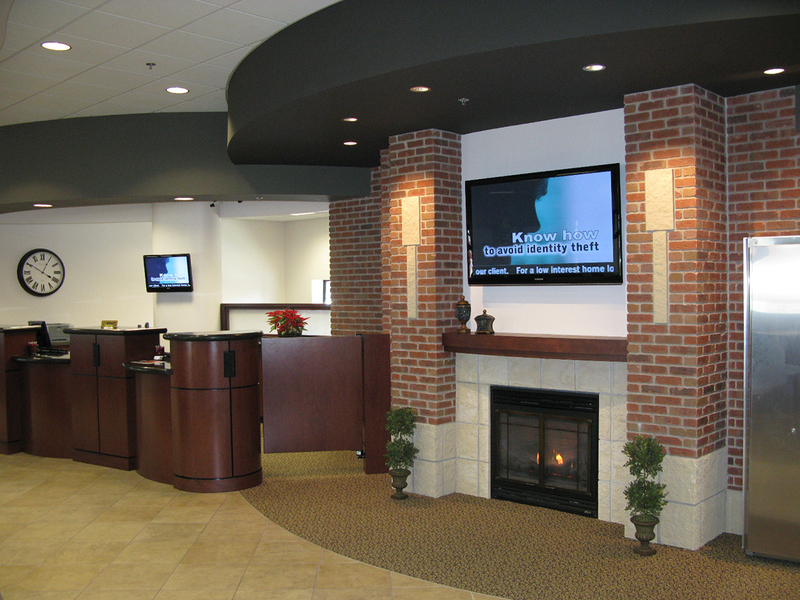 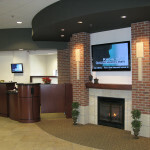 One of the unique features of the building’s interior is the brick & stone fireplace located adjacent to the vault and teller stations. 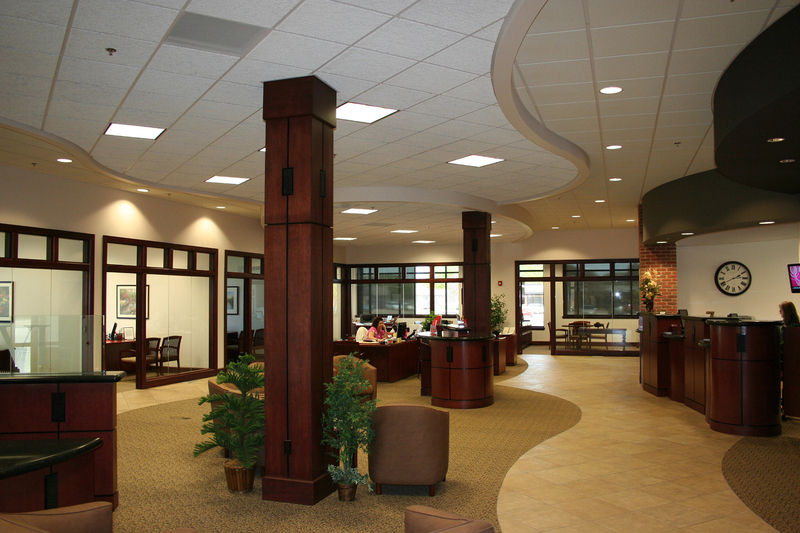 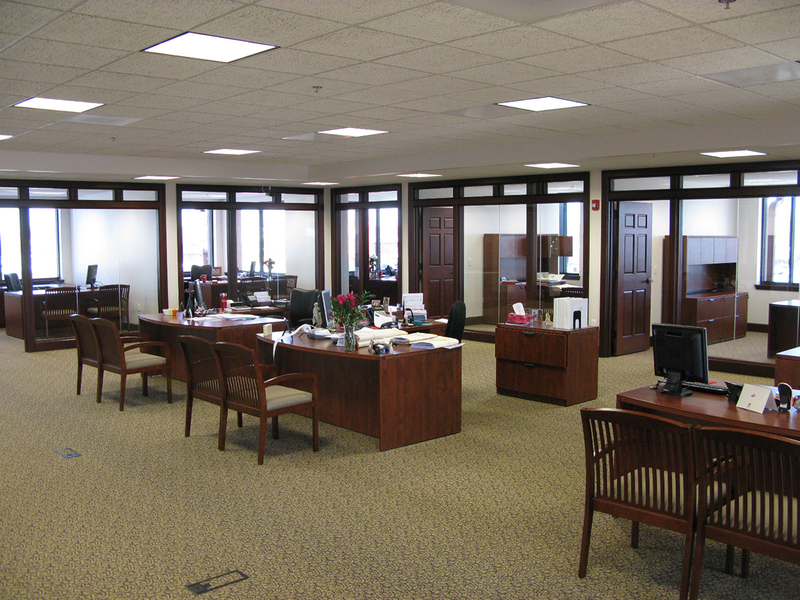 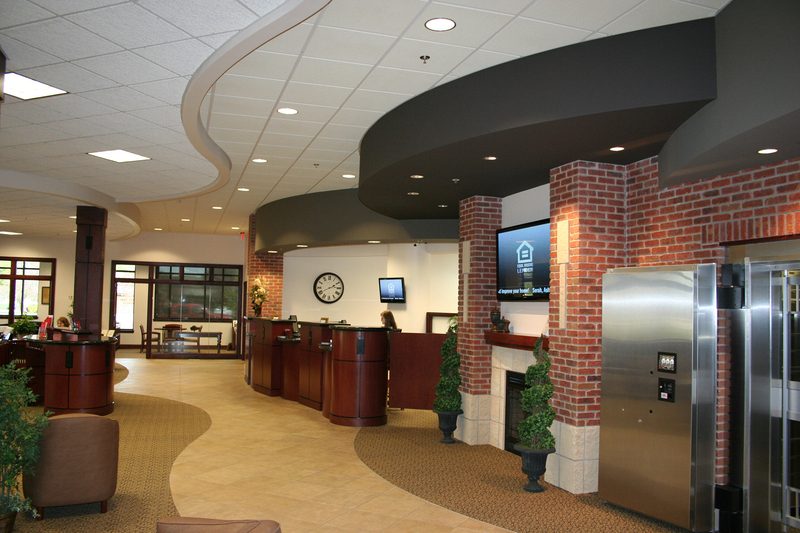 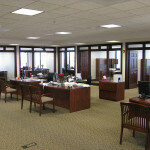 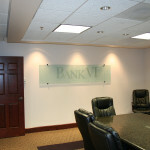 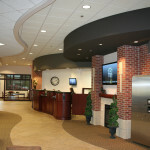 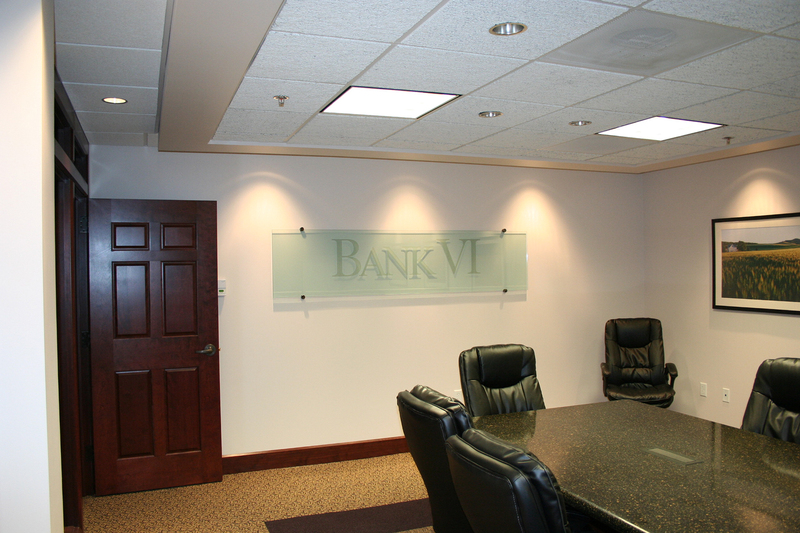 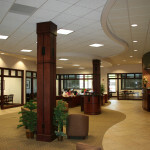 Other notable design elements are the custom designed Teller Lines and reception desk, and the organic shapes found in the ceiling layout and flooring materials.